The concept of modern feminism is something alien, even hostile, to most Russian women. Based on her personal experience, a Moscow-born female journalist and entrepreneur living in the U.S. explains why. There's a railroad in Siberia that my grandmother and other Soviet women built. Married twice and twice divorced, she was always so busy at work that she didn’t have time for her own children. At the age of 17, her daughter, my mother, moved from a small city in the north and went to Russia’s capital to enroll at Moscow State University. Strangely enough, even though a philosophy major she also ended up building something. In Soviet times students were considered free labor, and in summer they often had to work in the potato fields or on construction sites. There is a toilet in the Murmansk airport that my mother is particularly proud of. She helped build it, and she hasn't stopped since. She earned her PhD and worked as a university lecturer, but she was a woman who "could do it all." She easily moved furniture around, changed wallpaper or fixed leaky taps. When I was old enough to walk I began to help her with these tasks. "C’mon, child," she would say, supporting a huge wardrobe with her shoulder. "You can do this." She divorced my father when she was pregnant because "he just didn’t make any sense," and unlike many women who are afraid of loneliness or poverty, she knew that she could do this all by herself. She learned this from my grandmother, and I learned this from her. I just don’t want to. Here's my problem with American feminism: instead of equal rights and equal pay, it’s turning into a "I-can-do-this-all-by-myself" kind of thing, as well as aggression towards men and even worse, towards women who feel or think differently. American feminism is becoming something toxic. To be fair, women in the U.S. had it rough. They had to fight for their right to work. In the U.S. and many European countries ladies left the kitchen and entered the workforce only recently, around 50 years ago. They simply had to be more aggressive. "Let’s split the bill, and don’t even dare to open a door because I-can-do-this-all-by-myself," says a toxic American feminist. In Russia, women can't fathom the notion that they have to compromise their feminine side in order to claim their place under the sun. In the Soviet Union, you had to get a job because otherwise you’d be considered a "parasite." The Soviet Constitution stated that labor is "a duty and honorable obligation of each able citizen." But do you think that women had it easy? They went to factories and research labs every day because there was no such thing as remote online work that could be done from the comfort of their homes. But the fact that you had a job didn’t mean that society forgot traditional gender roles. After work, they still had to cook dinner, clean the apartment, take care of the children, etc. Soviet women didn’t have washing machines or vacuum cleaners, and so they were constantly tired and stressed. Where were their husbands in the evenings? Different families had different approaches, but most men were on the couch, with a sports magazine in one hand and a beer in the other. Although there are many problems with sexism and domestic violence in modern Russia, a woman can now finally be whatever she wants. We probably have more choices than ever before. 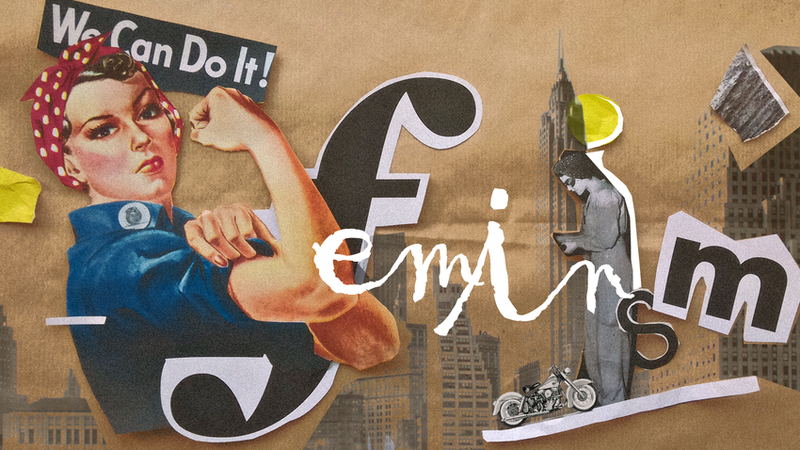 You can be a housewife, a scientist, a banker, a mother or you can start your own company. Also, if you want, you can be pretty and find a man who will support you, although this isn’t always a stable 'career' path. 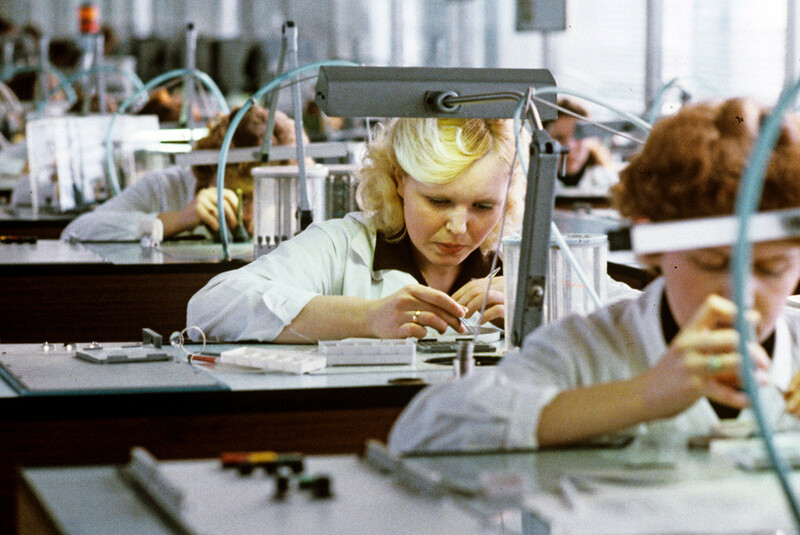 In Russia, according to Unesco, 41 percent of those working in scientific research are women. 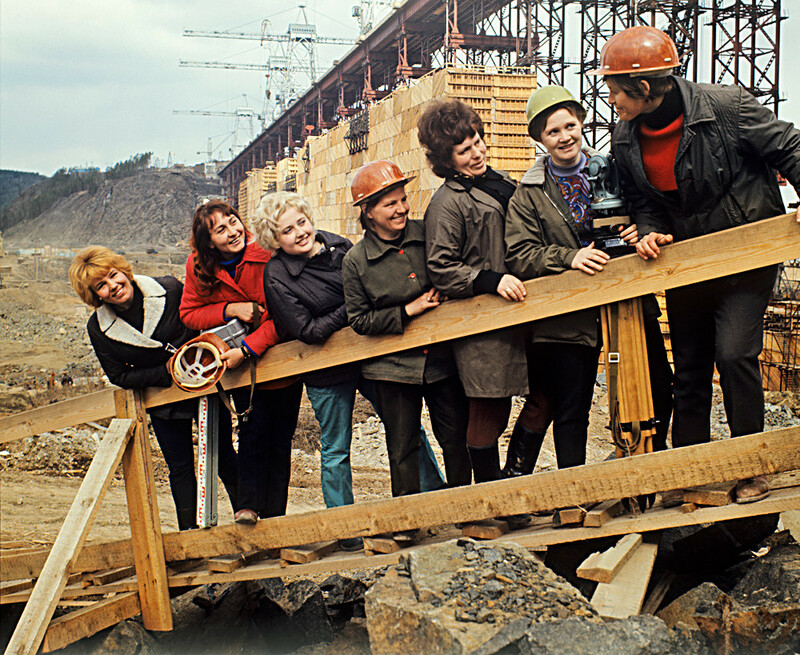 Since the collapse of the Soviet Union, Russian women have embraced their feminine side. Sometimes they’ve overdone it with short skirts and long heels, but it’s definitely better than the hammer and sickle. In Russia, according to Unesco, 41 percent of those working in scientific research are women, a figure that is more than anywhere else in the world. It’s all about mindset: women don’t see the "glass ceiling" that many American gals have to face when choosing a future field of study. How can we have this all? Before coming to the U.S., I thought of it as one of the most female-oriented countries in the world. After all, this is where so much talk about equal rights is coming from. But at my first fintech event in New York, I looked around and realized that I was one of five women in a room with almost 100 men. I later talked to a few of these female professionals: they have balls of steel under their skirts. It’s not that easy to be in tech, where women account for just 35 percent of bachelor degree recipients in STEM. Female tech startup founders raise less money, about 15 percent of all seed funding. Women in the U.S. do a lot to support and encourage each other. They probably know more about solidarity than women anywhere else in the world. There are plenty of women-only dinners, women-only educational programs, and female-oriented accelerators in the country. But these artificial institutions exclude those who should be the main participants in a debate on female freedom - men. It’s precisely men who have to learn how to deal with female bosses, colleagues, subordinates, and most importantly, their own daughters. Men around the globe have to accept women as leaders in tech, finance and other industries; not just on paper, but really in their hearts and minds. But neither the “I-can-do-this-all-by-myself” approach, nor splitting bills with your boyfriend, nor trying to be more masculine than men will help. I can't say exactly what will. But today, if I need to move my furniture around, I’d rather find a strong dude. It’s not because I can’t do this myself. I just don’t want to. I’m doing what every woman should do. WHATEVER. THE HELL. SHE WANTS. The views expressed here are those of the author and do not necessarily reflect the views of Russia Beyond.